Glencore will consider appealing a failed attempt to persuade the Government to regulate shipping prices at the port of Newcastle. ABC reported that the Department of Finance recently denied Glencore’s application to access shipping channels and berths and Newcastle for the next 15 years. 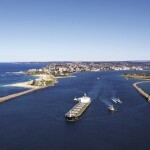 Glencore said shipping prices have increased by 60 per cent since the privatisation of Newcastle Port in a sale to a consortium made up of Hastings Funds Management and China Merchants in April 2014. A spokeswoman for Port of Newcastle said the decision was welcomed, and that ship-based charges were less than that of the nearest comparable port. According to Port of Newcastle, prices at the port had not kept up with CPI until the price realignment on January 1 2015. "There had been 20 years of under-recovery, with only two minimal price adjustments made by the previous port manager over a 20-year period," the spokeswoman said. "Total Port of Newcastle charges are estimated to be less than one per cent of the cost of buying and importing coal – about 45 cents per tonne of coal." Glencore expressed disappointment with the government’s decision, which was based on a recommendation from the National Competition Council. A decision in favour of Glencore’s request would have enabled third parties to use the shipping facilities, and the Australian Competition and Consumer Commission to intervene in pricing disputes. "The National Competition Council recommendation shows that it will not intervene to prevent a monopoly infrastructure owner using its market power to substantially raise access prices," Glencore said in a statement. "The NCC approach materially undermines the effectiveness of competition legislation in Australia, not only affecting the coal industry but any other industry which relies on access to infrastructure. "The NCC approach also means that where key infrastructure is privatised, customers cannot rely on competition law to protect them against unjustified future price increases by the new private owners. "These issues have to be addressed by Government as part of the privatisation process. "We are currently considering an appeal to the Australian Competition Tribunal." Glencore suggested the decision would have the capacity to “lower the productivity of the Australian economy”. Coal freight through Newcastle decreased year on year in 2015 due to overall falling coal exports, down 0.6 per cent on 2014 with exports of 158.1 million tonnes. Non-coal trade through the port was up 9 per cent on 2014, with a 25 per cent increase in fuel imports, and a 120 per cent increase in the import and export of meals and grains to 423,000 tonnes.